This birding weekend was one of my best. 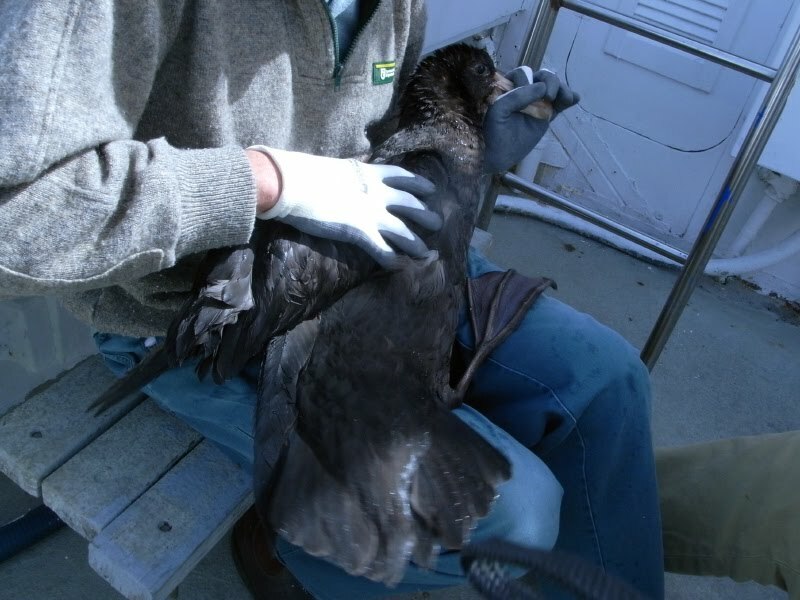 I went out on the SOSSA pelagic trip from Woollongong again on Saturday and got four lifers: Providence Petrel, Cape Petrel, Southern Giant-Petrel and Hutton's Shearwater. 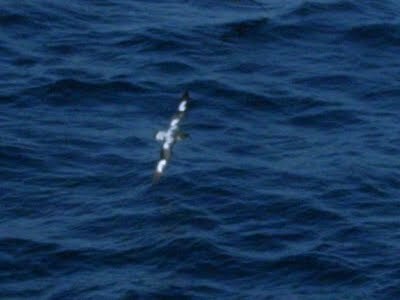 We also encountered a big pod of Humpbacks and a huge raft of shearwaters on the way in (mostly Wedge-tailed and Fluttering). 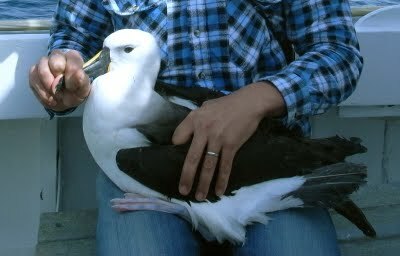 The best thing though was getting to hold a Yellow-nosed Albatross during one of the ringing sessions. The poor bugger was covered in lice and blind in one eye. Others noted were 3 Kelp Gull, 2 Little Penguin, several Wandering Albatross (including a Gibson's bird originally ringed in 1979), Black-browed Albatross, Shy Albatross (White-Capped & nominate race), 3 Northern Giant Petrel, 2 Brown Skua, White-fronted and Crested Terns. A little Shearwater was also called but I didn't pick it up. 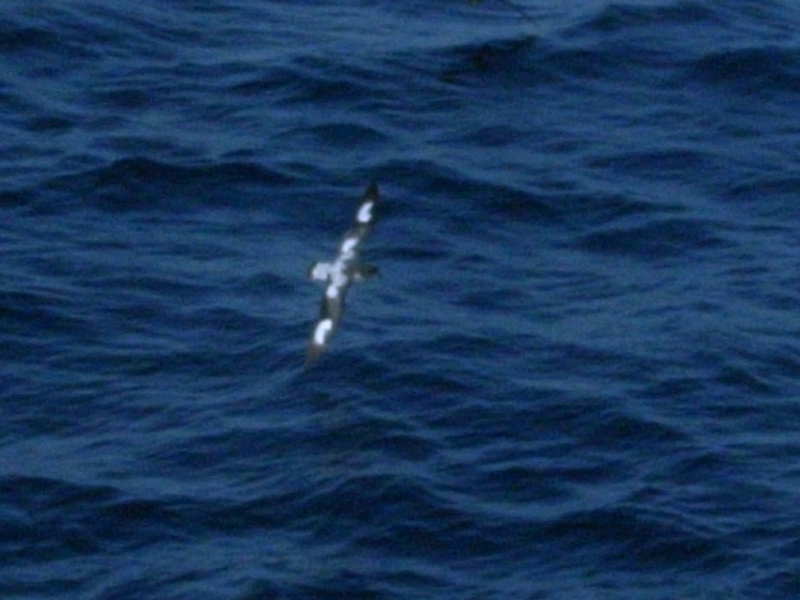 Cape Petrel: Great bird, crap shot. The night was spent under the stars at Barren Grounds with accomplished aussie birder, Martin Cachard. Again, we heard Ground Parrots calling in the heath at dusk and, early this morning, one was flushed from the track in all its green glory. I'd been waiting for that moment for quite some time. Others seen around Barren Grounds, thanks in no small part to Martin's birding prowess, were Southern Emu Wren (a good number calling, 1 seen); a pair of very vocal Eastern Bristlebirds with the female briefly on show; a small group of Beautiful Firetails and a male Gang-gang Cockatoo creaking away like a rusty old hinge.